Just announced today - with local organizations on the list! King County Executive Dow Constantine today announced a series of youth sports grants totaling $3.6 million. The grants increase opportunities and ... Read more..
Just announced: North Highline Unincorporated Area Council Meeting When: Thursday, February 1, 2018 at 7 pm Where: North Highline Fire Station at 1243 SW ... Read more.. Thanks to commenter LS for reporting that signs were up at both recently burned houses on 11th SW, declaring the fires to be arson and announcing a $10,000 reward fund. 11025 ... Read more..
12:44 AM: If you're seeing/hearing a helicopter over White Center - what we're hearing in radio communications is that the Guardian One helicopter is helping deputies search for a stolen ... Read more..
Two and a half weeks after the double murder in downtown White Center, the King County Sheriff's Office has identified a suspect and is asking for help finding him. The ... Read more.. Thanks to Syd for the tip on this - a house fire on 11th SW, south of SW 112th, is under investigation tonight, in the same block where another house ... Read more..
Annexation doesn't seem to be on the horizon, but unincorporated North Highline (and other parts of the county) still need services. So King County Executive Dow Constantine has announced this ... Read more..
Mark your calendar for January 25th! Here's how: An exciting opportunity to support local students: The New Start Alternative High School Key Club in the Highline School District will again, in conjunction ... Read more.. The proprietors of A Dog’s Dream Natural Pet Supply tell WCN they're expanding to White Center. Their original location is in Georgetown; now they're getting ready to add a WC ... Read more..
By Linda Ball Reporting for White Center Now If the '70s vibe is your thing, then you are in for a treat when Dottie’s Doublewide opens in White Center. Nate Rezac, the ... Read more..
Just in: The North Highline Unincorporated Area Council will be holding a board meeting on Thursday, January 11, 6:30 pm at White Center Pizza (10231 16th Ave SW). Please feel free ... Read more.. The Community Advisory Committee for Camp Second Chance, the City of Seattle-sanctioned encampment on Myers Way, continues to meet the first Sunday of each month, and we continue to cover ... Read more.. It's a big weekend for openings around White Center, and here's another one. 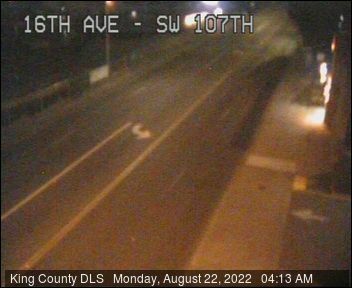 Four months ago, as the old McDonald's at 16th/114th was being demolished, we reported that a company ... Read more..
1:20 AM: From the scanner: Two people have been shot in the 9800 block of 16th SW. One is reported to have been killed. No word of any arrests so ... Read more..
King County Sheriff's Office Major Crimes detectives are investigating a carjacking and assault early this morning in the Super Saver Foods parking lot at 16th SW/SW 106th. It happened just ... Read more..
From the North Highline Unincorporated Area Council: Just a reminder. North Highline Unincorporated Area Council will not be holding a meeting on Thursday, January 4. We plan on having a board ... Read more..